NJ Weekend Historical Happenings: 9/24/16 - 9/25/16 ~ The History Girl! Of the approximately 3,000 different photographers who were active in New Jersey before 1900, more than 250 lived or worked in Mercer County, most of them in Trenton. 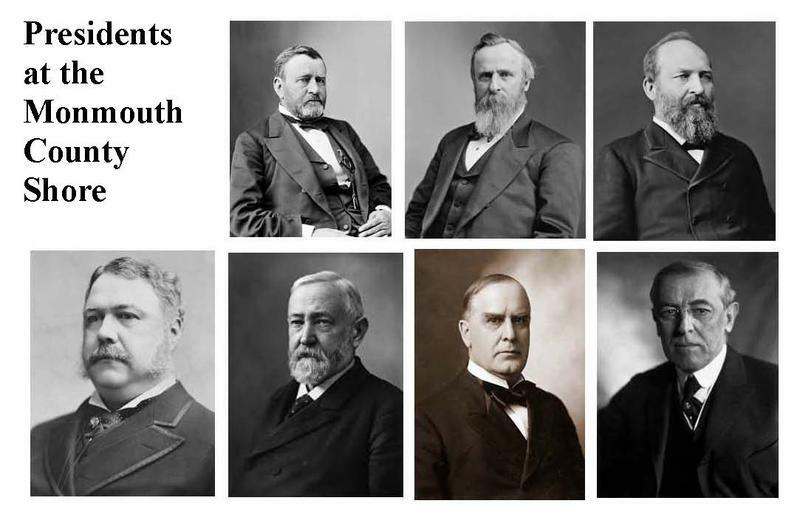 In a slide lecture, Gary D. Saretzky will profile these pioneers, including Edward H. Stokes who lived in what is now the William Trent House, and discuss them within the larger context of New Jersey photography in the nineteenth century. As you will see in the slides, these photographers documented the people and places of their times but, in addition, their individual histories provide insight into social conditions of their era. Gary D. Saretzky, archivist and photographer, has worked as an archivist for more than forty-five years at the State Historical Society of Wisconsin, Educational Testing Service, and the Monmouth County Archives, where he has been County Archivist since 1994. Saretzky taught the history of photography at Mercer County Community College, 1977-2012, and coordinated the Public History Internship Program for the Rutgers University History Department,1994-2016. 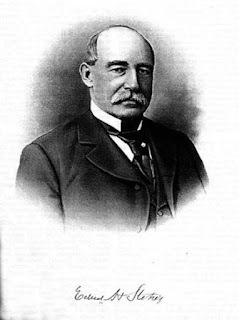 He has published more than 100 articles and reviews on the history of photography, photographic conservation, and other topics, including “Nineteenth-Century New Jersey Photographers,” in the journal, New Jersey History, Fall/Winter 2004. In 2012, he received the Maureen Ogden Award for Lifetime Achievement in New Jersey History at the New Jersey History Issues Conference. Admission: $8 members/$10 non-members. Includes refreshments and tours of the museum. Lecture begins at 1:00 pm. Each of Monmouth County Historical Association’s five historic house museums, together with the museum at 70 Court Street, will be open free of charge in celebration of Smithsonian Magazine’s 12th annual Museum Day Live! on Saturday. This is the last weekend to visit our historic house museums before they close for the season. On Saturday, special family activities will take place at Glenmont, the home and estate of Thomas and Mina Edison in Llewellyn Park between 11:00 am and 4:00 pm. Visitors wanting to visit Glenmont, should pick up a car pass from the Laboratory Visitor Center. Activities include tours of the 29-room Victorian Mansion and tours of the poured concrete garage which houses a circa 1900 Locomobile, 1922 Model T and the 1936 Brewster belonging to Charles Edison. Enjoy water color painting and obstacle course races on the lawn, Victorian board games, Junior Ranger activities, tree and leaf identification, and birding activities. Explore the 15 acre estate, garage, greenhouse, and the gravesite of Thomas and Mina Edison. Saturday is a fee free day. Passes for the Glenmont Estate must be picked up at the Thomas Edison National Historical Park Laboratory Complex Visitor Center at 211 Main Street, West Orange, NJ. For more information, call 973-736-0550 x33 or visit www.nps.gov/edis. Join us for an exciting day of tournaments and triumphs at the first ever Speedwell Games Day from 10:00 am - 8:00 pm. During the day, families and children of all ages are invited to participate in games and play with toys that were used in the bygone era of the Vail Family. At 5:00 pm, the adult card tournaments begin. Admission: $7 per adult, $6 per senior, $5 per child age 4 - 16, FREE per child under age 4. Historic Speedwell is located at 333 Speedwell Avenue, Morristown, NJ. For more information, call 973-285-6550 or visit www.morrisparks.net. Visitors can step across the threshold of six unique Cape May private homes in a variety of styles, from Victorian cottages to coastal mansions, open to the public for one day only. Relish the beautiful interiors created by local and regional designers on Saturday from 11:00 am - 4:00 pm. Admission is $30 per person. Visitors receive a book with descriptions of the houses and a map. Tickets can be purchased at the Emlen Physick Estate, 1048 Washington Street, Cape May, NJ or at the Washington Street Mall Info Booth. Sponsored by the Mid-Atlantic Center for the Arts & Humanities (MAC). For more information and to reserve tickets, call 609-884-5404 or 800-275-4278 or visit www.capemaymac.org. Allaire Village Incorporated is hosting its annual 1830s Fall Harvest Festival on Saturday from 11:00 am - 4:00 pm. The Harvest has been gathered and now it is time for the families of the Howell Iron Works to relax. Harvest festivals take place the world over. They usually fall near the Harvest Moon, the closest full moon to the autumnal equinox. It is a time of merriment, eating, music, contests of strength, games, and romance. Please join us in celebrating the harvest, bring your sweetheart and try your hand at cider pressing, games, dancing, and much more! Admission: $5 adults, $3 children 5-12 years. Horse and wagon rides additional $7.00 per adult, $5.00 for children 12 and under. This year the wagon rides are going to be on a timed ticket, so seats will be first come first serve. Ticket sales are non-refundable. Tickets are not mailed or emailed. They are held under your name for a reservation. Go to the pre-paid line at admissions to pick up your ticket. An opportunity to preserve your personal collections of photos, film, and other form of outdated media material. Digital Memory Media (DMM), a division of Innovative Document Imaging, LLP, will have advisers on hand to counsel you on the best way to digitally preserve your collections. Materials can be brought on the day of session. Once scanned and digitized, you will be notified of a date and time to retrieve your material. And best of all, DMM will donate 20% of all proceeds from the program to the Belmar Historical Society (BHS)! The event will be held from 12:00 - 2:00 pm at the Community Room at Boro Hall, Sixth Avenue entrance, Belmar, NJ. How about putting together a digital video for a special birthday, anniversary or family event? With the holidays not too far off, it would make a memorable gift for someone as well. For more information, call 908-309-3380. You may also visit www.idiimage.com for more information about the company and this program. Join New Jersey historical organizations and explore the rich history New Jersey has to offer with ghost hunters from around the Delaware Valley and see how they do it on Saturday from 11:00 am - 6:00 pm at White Hill Mansion. Admission is free. Join us for games, colonial activities, Paranormal lectures (for a small additional fee) and a real ghost hunt beginning at 7:00 pm. Also Amazing Mutts Puppy Rescue will have puppies available for your enjoyment and adoption. Come and enjoy the History, Ghosts, and Puppies. The cost of the Ghost Hunt is $60.00. For more information, visit www.flirtingwithtime.com/schedule. The White Hill Mansion is located at 217 4th Street, Fieldsboro, NJ. For more information, call 856-630-9421 or visit www.whitehillmansion.com. The Roebling Museum's 3rd Annual Oktoberfest celebration will be held on the grounds of the museum on Saturday from 2:00 - 7:00 pm. The event will feature music by the South Jersey Pops' Oktoberfest Band and accordionist Dave Burr. Food vendors will offer a variety of treats including German food and two Roebling favorites: bacon bread and Boost! drinks. And, of course, there will be a beer garden, to enjoy a cold draft beverage with your food and music. The family-friendly event will also include a free kids' craft workshop sponsored by Home Depot. Admission on the day of the event is $10 and includes entertainment and admission to the Roebling Museum. Children ages 6-12 are $5 at the gate. Children under six are admitted free. Bring your friends to this fun event that is also a fundraiser to help support the educational programs provided by the Roebling Museum. The Roebling Museum is located on 100 Second Avenue, Roebling, NJ. 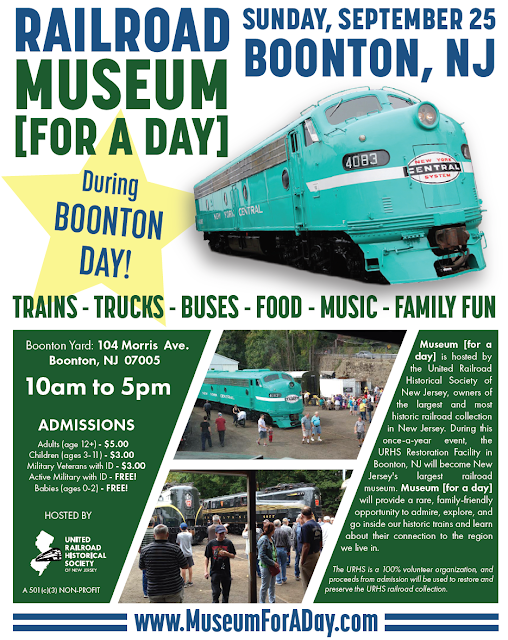 Parking is available at the back of the museum just off Hornberger Avenue and at the New Jersey Transit River Line Station. Visitors can also take the River Line; the museum is only a short walk from the Roebling stop. For more information, call 609-499-7200 or visit www.roeblingmuseum.org. Come out to Princeton Battlefield on Saturday for a day full of events from 10:00 am - 5:00 pm, including artillery demonstrations, Burr-Hamilton duel reenactment, military and Colonial life demonstrations, and activities for kids throughout the day. All events will occur at Princeton Battlefield State Park, 500 Mercer Street, Princeton, NJ. Come out to the Battlefield to find out why in 1777 the Battle of Princeton was such a crucial turning point in the American Revolution. A town crier will be alerting visitors of different events; the 43rd's Royal Artillery will be giving demonstrations; learn why artillery was so important in this battle; along with military encampment demonstrations-cooking, laundry, spinning, herbal medicine and others; musket drilling for kids; ice cream making and tasting for kids; meet General Washington; an exhibit from the National Marine Corps Museum; display of American Revolution swords and a special musket; interactive map presentation on Battle of Princeton; a book signing and sales by best-selling author Patrick O'Donnell - author of Washington's Immortals; take a tour of the Battlefield and the 1772 Thomas Clarke House - witness to the Battle; learn how the Clarke House is being restored; listen to lots of music; food vendor, and more. Plenty of free parking on-site. Admission is free. For more information, including an events schedule for the day, visit www.theprincetonbattlefieldsociety.com. 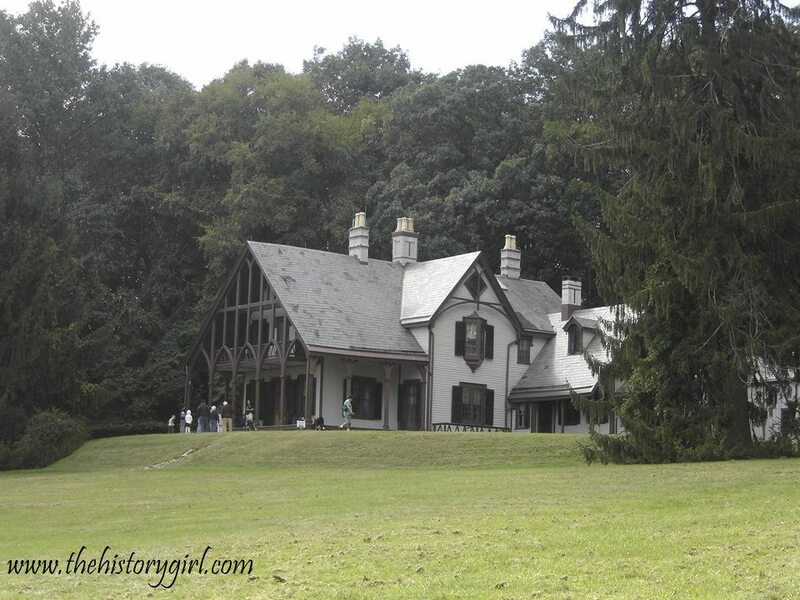 Travel back in time when you visit Mount Tabor, New Jersey. During the Mount Tabor Historical Society's 23rd annual historic House Tour on Saturday, visitors will be able to experience the unique charms of this historic community, founded as a post-Civil War permanent Methodist Camp Meeting ground. This event provides the best opportunity to get an inside look at more than fifteen Victorian cottages, community buildings, and sites that will be open to the public that day.Box lunches and beverages will be available for sale. The self-guided tour will be held rain or shine 11 :00 am - 4:00 pm. The Richardson History House, a small-scale Second Empire Victorian Camp Meeting cottage will be featured on the tour. The History House invites visitors to encounter another era and see what it was like to spend a summer "camp meeting style" in the cottage of J. Smith and Lydia Richardson, a family prominent in the early community. From the original, decorative trompe l'oeil painted wood panel walls to the expansive glass doors we truly believe "these walls can talk!" Step inside a replica Camp Meeting Tent and sample traditional tent life for yourself. Original camp meetings were considered pilgrimages, and the devout endured the hardships of primitive tents rather than lush accommodations. The interiors of the tents were divided into a front portion used as a parlor, and a back portion used for sleeping quarters. Due to space limitations, furnishings were multi-functional. Camp chairs and rockers also adorned the tents. Tickets are $25.00 per person in advance, purchased online via PayPal and $30.00 on the day of the tour at the Old Firehouse on Simpson Avenue. Parking will be provided at the Mount Tabor School, located on Park Road, Morris Plains, off Route 53 (GPS: use 864 Park Road, Morris Plains, NJ) where a shuttle bus will be available. Mount Tabor is located in Morris County along Route 53 between Denville and Morris Plains. For more information and advance tickets, visit www.mounttabornj.org or call 973-975-0001. In honor of National Public Lands Day, a national day of recognition of the efforts to preserve and protect America's natural heritage, join a park ranger for a guided hike through Jockey Hollow. Think of Jockey Hollow as a neighborhood with its residents having different roles in the community. This tour will look at those different roles and how the "neighborhood" within Jockey Hollow works together to survive. The hike will be 2.25 miles along the park's Yellow Trail. Helpful items include hiking boots or other appropriate footwear, water, bug spray, and sunscreen. Program is rain or shine, so plan for the day's projected weather. Hike begins at 1:00 pm at the Jockey Hollow Visitor Center, within Morristown National Historical Park, 580 Jockey Hollow Road (approximate), Morristown, NJ. Cost: Free. For more information, call 973-543-4030 or visit www.nps.gov/morr. The Lacey Historical Society is having its Annual Apple Festival on Saturday from 9:00 am - 3:00 pm, rain or shine. This family fun day includes lots of activities for children of all ages and plenty of Apple Eats. The Schoolhouse Museum is open to the public for the day and the Forked River Fire Department has free rides in the fire trucks for guests starting at 12:00 noon. Apple treats include home baked apple pies and apple crisps, either whole to take home with you or by the plateful, candy apples, sliced apples with caramel, apple cider and apples picked by volunteers at a local orchard. The "Any-Which-Way" Apple Pie Contests is open to anyone who has a great tasting pie; registration is required for either the adult contest or for Junior bakers under 18 years of age. There are cash prizes for each contest. Guests can watch the pie contest judging in the morning starting at 10:00 am, purchase pumpkins and paint them, play games - some the Old Fashioned kind, have their faces painted, speak to re-enactors about history, listen to a storyteller, do some crafts with a member of the local Lenni Lenape Indian tribe, meet Sparks, the Ocean County Library dragon mascot, and try on old-fashion clothes made by a local seamstress. The day starts at 9:00 am with opening remarks by the Lacey School Superintendent, followed by the Lacey High School Band. There is entertainment of various kinds during the day and the Girl Scouts will share with you the fun of making butter the old-fashion way; you can crank if you want (and you get to taste the butter yourself), once in the morning and once in the afternoon. Lunch and snacks will be available, so come and stay for all the activities. The Schoolhouse Museum is just South of Lacey Road, between Route 9 and Parker Avenue, Forked River, NJ. Nearest cross street is Oak Street. Parking is free and available on local streets. Admission: There is no entrance fee; some activities are free; some require tickets which you purchase on the grounds. For more information, call 609-971-0467 and leave a message (it will be returned). Join the Tuckerton Seaport as they celebrate the 34th anniversary of the show during this exciting two day event highlighting the culture of the area! Demonstrations, contests, seminars, crafters, carvers, over 300 waterfowling exhibitors and vendors, food, refreshments, a decoy auction, music, entertainment, and lots of fun. Dock Dog Competition as featured on ESPN! Two great locations: Tip Seaman County Park and Tuckerton Seaport & Baymen’s Museum. This event is free to the public! The show is open Saturday from 7:00 am - 5:00 pm and Sunday from 7:00 am - 4:00 pm. Step back in time as Historic Cold Spring Village closes its 35th season with a Free Village Sampler Weekend on Saturday and Sunday from 10:00 am - 4:30 pm. Guests are invited to tour a selection of the Village’s 27 restored, historic buildings where historical interpreters demonstrate the trades, crafts, and lifestyles of the “homespun era.” Enjoy games, crafts, historic dress-up and a special sale at the Country Store. Antique dealers, folk artists, and crafters will display and sell their wares along the Village’s shaded lanes throughout the weekend. 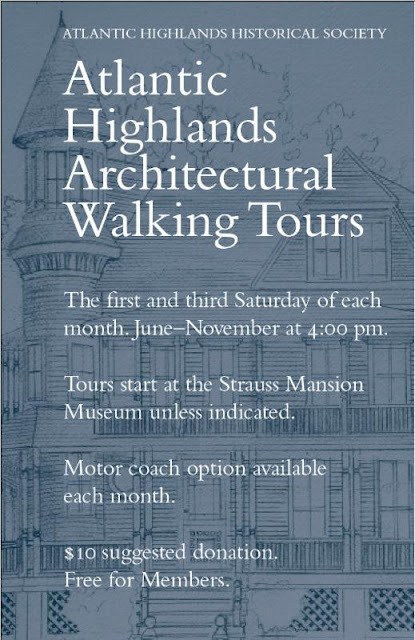 Visitors to the Cold Spring Country Fair can also take guided walking tours of the Village from Jim Stephens, HCSV Deputy Director for Education and Interpretation. Stephens will lead the lively tours throughout the 30-acre site, providing details and insight into the Village buildings and Cape May County history. Tours will be offered at 1:00 and 3:00 pm on both Saturday and Sunday, and will begin near the Route 9 gatehouse. Historic Soldiers Weekend is a historical encampment, featuring reenactors, and their equipment, from every American conflict, spanning from the French and Indian War to the Vietnam War. In some instances, both sides of the conflicts will be present, such as the Revolutionary War loyalists and "redcoats", Civil War confederate units, and WWII German infantry units. Hours for Saturday are 10:00 am - 4:00 pm and Sunday from 10:00 am - 3:00 pm. Admission is free. Use optics to make some deceptively simple toys that were enjoyed by adults and children alike over 100 years ago at Historic Speedwell from 2:00 - 4:00 pm. Admission: $7 per adult, $6 per senior, $5 per child age 4 - 16, FREE per child under age 4. Historic Speedwell is located at 333 Speedwell Avenue, Morristown, NJ. For more information, call 973-285-6550 or visit www.morrisparks.net. On September 16th, 1922 two bodies were found, violently murdered, yet they appeared to be sleeping peacefully. Who they were and why they were at that location was to propel Somerset County into national and international news. These murders are still unsolved. Join Heritage Trail for a bus tour that begins at the Historic Van Horne House where registered guests will become detectives on this Cold Case. 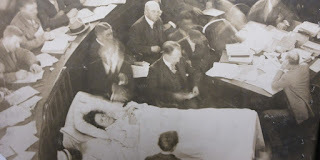 After receiving a packet of vital information and a briefing at the Van Horne, we will board buses for the Historic Somerset Courthouse in the heart of Somerville, which was the scene of this infamous trial in 1926. Hundreds of newsmen, gawkers, witnesses, and the accused crowded this sleepy town. Judge Thomas C. Miller will address the crowd and we will see the actual evidence. Returning to the Van Horne House, the debriefing will allow our 'detectives' to offer up their thought of 'who done it'. A book on the subject, Cold Case: The Hall Mills Murders Revisited, with many photos and added information, will be for sale. Refreshments will be served. This event will sell out quickly. get your tickets today. Access to the courtroom and evidence is rare - don't wait! The first 20 registrants receive a shoulder strap book bag. A book drawing will be held at the end of this event for those in attendance. Due to the subject matter, only children over 13 will be admitted. Admission is $25.00 per person. Click here to reserve your ticket today. The day begins at 12:30 pm and ends at 4:30 pm. The Historic Van Horne House is located at 941 E. Main Street. Bridgewater, NJ. Park behind the Target store at 200 Promenade Blvd., Bridgewater, NJ. Handiap parking is available at the house for those requiring it. For more information, visit www.heritagetrail.org. Many saltwater creatures migrate to warmer waters to mate, reproduce and find food. It is the perfect time of year to observe these animals before they head south for the season. This free program begins at 10:00 - 11:30 am at Sandy Hook, part of Gateway National Recreation Area. Meet at Lot C for Bayside Beach. For more information, call 718-354-4606 or visit www.nps.gov/gate. In celebration of the 100th anniversary of Van Vleck House and Gardens, the Montclair Historical Society will be co-sponsoring a family day event. Activities will include themed craft stations around life in 1916 Montclair from transportation, to science and technology, communication, to food and leisure. Outdoor activities include guided walks, scavenger hunts, and a seed planting station throughout the day, weather permitting. Families will also be able to visit the 100th anniversary exhibit inside the Van Vleck House. The event runs from 1:00 - 4:00 pm at 21 Van Vleck Street, Montclair, NJ. $10 per family for non-members; $5 per family for members of either organization. Registration is suggested. For more information and to register, visit www.vanvleck.org. Come and enjoy a picket fence beer garden, delicious food from a variety of vendors including food trucks, relax to music by the Teutonic Knights, pony rides in the meadow for children, tour three 18th century sandstone houses, and stroll the grounds of Historic New Bridge Landing in River Edge, Washington's headquarters in 1780, later home of Major General Baron von Steuben. Picket-fence Beer Garden, music by the Long Hill String Band with Clog Dancer, illustrated talk on Steuben at 2:30 pm by historian Kevin Wright. Mott's Artillery will be in the field with cannon. Reenactors from the 3rd NJ will be at New Bridge to answer questions about military life in the 18th century. Free pumpkin per child (first 75 kids) courtesy of Home Depot. 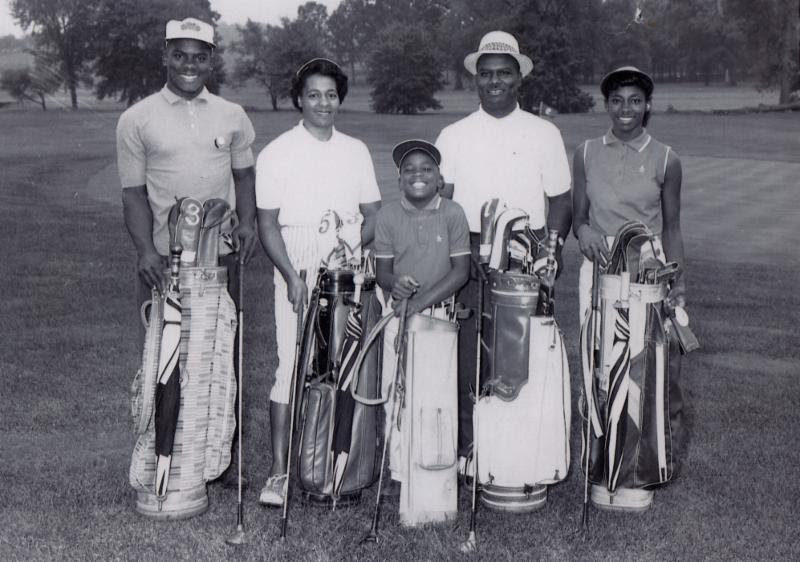 Help raise funds for a Hall of History Museum celebrating Bergen County's storied past. Baronfest will be held from 1:00 - 5:00 pm at Historic New Bridge Landing, 1201 Main Street, River Edge, NJ. Admission: $15 per adult and $10 for students (12 - 20 years old). BCHS members $10. Credit cards accepted and exact cash line will move faster. Have photo ID out for review. Beer and food are an additional cost. NJ Transit is making additional free parking available at the train stop parking lot. Train service is available on the Pascack Valley Line to the "New Bridge Landing" stop. Historic New Bridge Landing is only one block north-east of the train stop. For more information, call 201-343-9492 or visit www.bergencountyhistory.org. The Washington Crossing Park Association announces its third historic educational program, "Digging New Jersey: Colonial and Revolutionary War Archaeology," on Sunday at the Union Fire Company Hall, River Road in Titusville from 2:00 - 5:30 pm. Featured speakers will be Dr. Richard Veit, Chair of the History & Anthropology Department at Monmouth University, who will discuss his archaeological explorations at Sandy Hook this summer. His talk, titled "Searching for the 'Lighthouse Fort and the Refugee Town' on Sandy Hook: A Story of Archaeological Research," will provide background on his findings. Richard Hunter, President of Hunter Research, a Trenton-based historic preservation consulting firm, will follow up with a presentation on "30 Years of Archaeology at Revolutionary War Period Sites in Mercer County." Moderating the program will be Larry Kidder, a noted local historian, who will also coordinate a question and answer session. In addition to the presentation, an exhibit area highlighting historic books and displays will be open throughout the program. Refreshments will also be available. At the end of the program the Association will draw the winners of its first Revolutionary War Artwork Raffle to benefit the Johnson Ferry House. All attendees must pre-register online at www.wcpa-NJ.org or by emailing Bill Marsch at wrmarsch@optimum.net. If you have questions, please address them to Bill Marsch. A $10 donation will be requested, but members of the Association will be invited as a benefit of membership. The popular antiques, glass, and bottle show will be held at historic Batsto Village on Sunday. Beginning at 9:00 am, dealers from throughout the tri-state region will display their treasures and products at Batsto, home to a thriving glass business in the mid 19th century. The event will end at 3:00 pm. In addition to the many dealers on hand, the “Sea Dogs” musical group will keep the area filled with music from the pirate / privateer era. The Sea Dogs performances consist of traditional sea chanties, which are work-songs used on boats and ships, foc’sle songs, sung for entertainment by sailors, and instrumental pieces, played for dancing. in the age of sail. There is no admission or parking fee for this event and food and drink from a variety of local organizations will be available. Parking close to vendors will be plentiful. Mansion tours are conducted beginning at 10:00 am and conclude at 3:00 pm. The Nature Center will be open with science and nature exhibits and special activities for children. Ocean County Historical Society invites you to learn the story of Carl Krepper, born and educated in Germany and a naturalized citizen of the United States, who served as a Lutheran pastor in four parishes in northern New Jersey while simultaneously working as a Nazi spy in the 1930s and 1940s. Hear Reverend Frank Watson, Christ Lutheran Church of Whiting, NJ, tell of his discovery in 2002 of papers that detailed the arrest of this Lutheran pastor for espionage. The program will be held on Sunday at 2:00 pm in the Birdsall Room of the OCHS Museum, 26 Hadley Avenue, Toms River, NJ. Refreshments will be served. There is no admittance fee. For more information and to make your reservation, call 732-341-1880.